Can't find the page or information you are looking for? 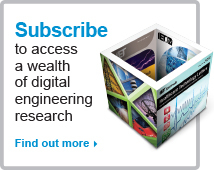 If you are new to IET Digital Library, please read our Getting Started guide. This will explain how the site works, how to use the search and advanced search facilities, how to manage your search results and how to create a personal account. If this does not answer your enquiry please take a look at our FAQ page to check whether your query is dealt with there. If it is not, please contact us by email: [email protected]. For all other enquiries relating to IET products, please contact your nearest regional sales team. For information regarding journal submissions and any queries related to our Journals’ Author Guide please email [email protected] For enquiries about Engineering & Technology Reference, including free trial requests and subscription rates please email [email protected].